Have you considered cedar? Imitation is the sincerest form of flattery. Did you ever wonder why so many other products want to imitate Cedar? Man made materials cannot match the versatility, proven track record and environmental benefits of using Cedar. When specifying materials for your next project don't be disappointed, insist on Western Red Cedar. Used both outdoors and indoors for centuries, Western Red Cedar is renowned for its naturally occurring resistance to moisture, decay, and insect damage. Western Red Cedar is the ideal choice for many end uses and projects. Western Red Cedar's exceptional beauty brings warmth, character, and longevity to your outdoor living space. Western Red Cedar is carbon neutral, produces fewer greenhouse gases, requires less energy to produce than alternatives, and comes from a renewable, sustainable resource. Western Red Cedar is easy to install for both the professional and the do-it-yourself. ProGuard Preserved Wood is pressure treated with a copper-based preservative for long-term performance outdoors in deck and fence construction and landscaping. 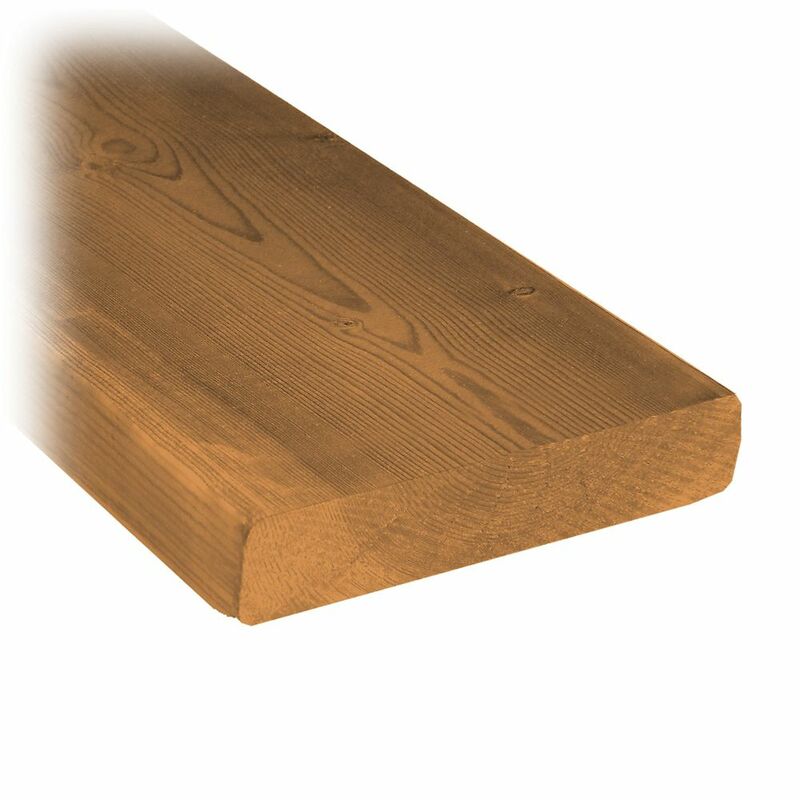 All 2x12 lumber is incised for maximum preservative treatment and durability for structural uses, like deck joists and beams. 5/4 x 6 x 8' Treated Wood Decking MicroPro Sienna Treated Wood uses the only wood preservative technology that is low VOC and certified as an Environmentally Preferable Product. Innovative colour pigment technology gives the treated wood a warm, finished look.